The game is set in the 16th century AD, in what was known as the Sengoku Jidai, or the Waring States Period in Japanese history. It follows the daimyo or domain lords battles for ultimate supremacy over Japan. Part turn-based strategy or campaign game, part in-your-face 3D warfare simulation the game would seem to have a large areas of the market covered. Especially if you have an interest in Japanese warfare or history. In the campaign game you have to build up your empire by careful diplomacy, cunning and civil engineering, as well as knowing the right time to make your move. The battle mode takes you down to ground-zero, as the tactical general, where you command all of your units against a strong AI opponent. The graphics are quite detailed, and add to the feel of the era. It's great to go down to ground-level and what the action (but it's not always that clever at choosing the viewing angles). There's a lot of detail here - though I understand that they've reduced the unit set considerably from previous versions. The one thing that I found a bit annoying is that the game doesn't really allow you to play at the operational level... once you jump into a battle, you're having to micro-manage all units all the same time. In my view, it would be better to be able to set up better "intents" that the units are able to follow (rather than just "move from A to B, doing C"). Instead you find yourself having to flit around the map giving minor unit directions (such as telling units to turn to face a new threat). I also get a little worried when you have to refer to an encyclopaedia to play... it's good to have the info, but less enjoyable for casual play if you need to be constantly checking things up. There's both ground-based and sea-based battles. The sea-based battles are to my mind the weak-point in the game, being too sensitive to individual commanding of each ship. The other main type of battle is based around seige warfare... and this can be quite fun. Now I haven't been able to play this game anywhere near as much as I would like... and the FPS-gamer in me gets frustrated often (just shoot them....shoot them! ), but with a little patience you can have a really challenging experience out of it. I have to say that I'm not convinced that the game is completely realistic in the construction or behaviour of units, however, in the quasi-mythical world which they create, it's both a plausible and fulfilling environment. You need a pretty good system to get the most out of it (thankfully my box still has a enough juice after 18 months) - although for me the load times were painfully slow. Also - I'm not a fan of the Steam system... there's nothing more annoying than wanting to pick up a game and then having to wait for 300 MB of new downloaded content before you can play. Be warned. On the flipside, you can update and expand your gaming experience very easily. If you've got an interest in historical Japanese warfare, or just want to immerse yourself in a game with plenty of detail (did I mention that it comes with an inbuilt encyclopaedia) then this is definitely a good game to check out. Let me know your experience if you've played it - especially on the historical aspects of the game. I'd give it a 7/10 as a game - just coz I'm a total FPS-head and don't have the patience to really spend the time required... but it's worth buying just for the experience. It was a perfectly balanced game that combined turn-based strategic decisions with real time battles in a beautiful interface made in the style of medieval Japanese artworks. The game was based on the teachings of Sun Tzu, the Chinese strategist, who believed in the indirect approach: search for comparative advantages, use your forces with economy, surprise and deceive, and only fight limited wars. The medieval Japanese setting (relatively small armies made up from a limited number of distinct units fighting on different terrains), served as the perfect substrate to implement these strategies. 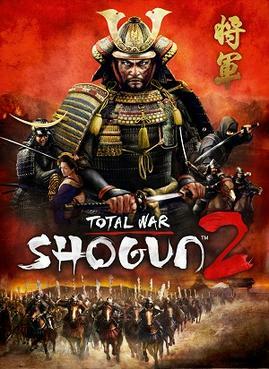 I have played every single Total War game since and they were all a joy to experience - yet nothing surpassed to the first Shogun. Until now. Sorry for that replying earlier J_A and Brasil. I think that any one that's really into historical Japanese fighting/military games would definitely love the game. For it just didn't quite hold my attention that long (but that perhaps says more about me than the game).